Combination screw, M.bearing from V.A.T. 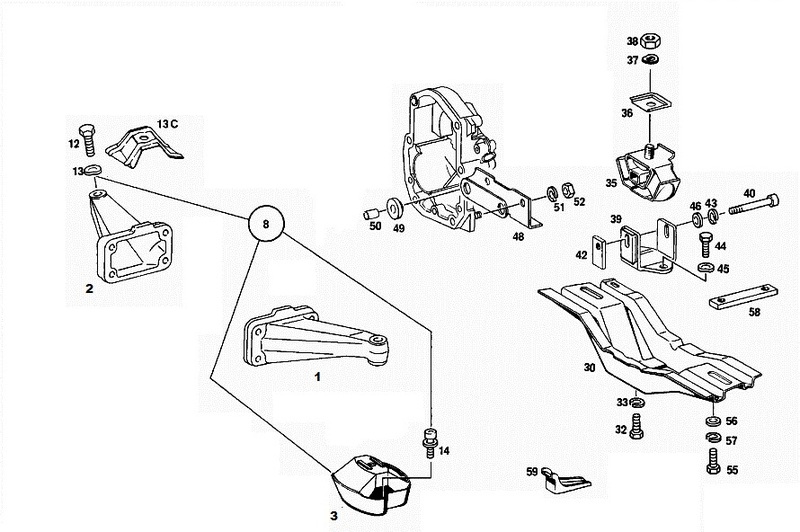 Bracket, engine mount/engine mount hi. Cyl. screw, cyl. head to cyl. go. Nut, engine mount/engine mount out. Washer,M.stop on top of oil pan. 0 F 22 013 bald patch a.A. a.A.
14 G 22 009 Combination screw, M.bearing from V.A.T. a.A. a.A.
42 F 22 034 Bracket, engine mount/engine mount hi. a.A. a.A.
43 E 01 018 Cyl. screw, cyl. head to cyl. go. a.A. a.A.
46 G 22 030 Washer,M.stop on top of oil pan. a.A. a.A.